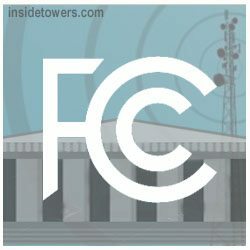 The FCC proposed Friday to update its rule for over-the-air reception devices (OTARD) to help spur 5G deployment. Among other things, the Commission is suggesting to allow broadband “hubs” – pizza box-sized small cells – on private property to serve groups of homes and businesses, helping align OTARD rules with how today’s wireless broadband networks are being built. The OTARD rule was adopted to address a previous use of technology that relied on larger antennas spread over greater distances. The Notice of Proposed Rulemaking proposes to eliminate the restriction that currently excludes hub and relay antennas from the rule which could help spur infrastructure deployment, including in underserved rural and urban areas. FCC Commissioner Brendan Carr said during the vote, “Providing fast internet to underserved communities can be a heavy lift.” He described being at the headquarters of a Wireless Internet Service Provider (WISP) startup, called “Starry,” as it was starting to expand its Boston footprint. He helped workers lift 75 pounds worth of radios and antennas comprising internet head-end gear to the rooftop of an office building. The NPRM seeks comment on rules that impede WISP deployment and on how to best implement the change. The agency also seeks public input on its proposal to retain an exception to the rule for safety or historic preservation purposes. The Wireless Internet Service Providers Association (WISPA) applauds the FCC’s decision. The changes being proposed by the FCC to modernize OTARD will lower barriers to siting fixed wireless infrastructure, erasing geographical, cost and other challenges which inhibit the growth of rural broadband, according to WISPA President/CEO Claude Aiken. “The small changes will have a big impact on deployment across the country,” he added. Comments? Email Us.